You’ve made a great resolution, and you’re ready to stick to it in 2015 . . . now what? Set yourself up for success by finding an online community to help you get support, stay motivated, and learn strategies for meeting your goals in the new year. Here are 4 ways you can find one. When someone counted a year ago, there were about 6,000 active subreddits — that’s 6,000 different groups of people coming together on Reddit because of their interest in a common thing. What that means for you is that no matter what your resolution is — to lose weight How To Lose Weight...Fast - The Best Web Resources For Fasting Diets How To Lose Weight...Fast - The Best Web Resources For Fasting Diets The latest craze in the world of dieting is intermittent fasting. We pull together some of the best resources online related to this popular method for losing weight and getting healthier. Read More , to quit smoking FixNixer: An Online Program to Help You Quit Smoking FixNixer: An Online Program to Help You Quit Smoking Read More , to learn to code Bored With Programming Books? Try 3 Fun Ways To Level Up Your Coding Skills Bored With Programming Books? Try 3 Fun Ways To Level Up Your Coding Skills If you've ever tried to learn to code from a book, you know how boring it can be. Why not try some engaging options to make learning more quirky and fun. Read More , to give more to charity Top 7 Christmas Charity Organizations That Help Low Income Families Top 7 Christmas Charity Organizations That Help Low Income Families Here are some of the best Christmas charity organizations that help low income families make the holidays magical for their kids. Read More , or anything else — there’s a community of people out there that share your goals and interests. You can ask questions, get advice, and read up on your resolution to stay motivated. And, of course, help others do the same! This is a simple way to find a community to help you in sticking to your resolution, but it’s an important one not to forget: just run a search on Google or DuckDuckGo 6 Cool DuckDuckGo Features You Won't Find on Google 6 Cool DuckDuckGo Features You Won't Find on Google In a world ruled by Google, at least where search is concerned, it’s sometimes hard to imagine a worthy alternative. DuckDuckGo is one website that is trying to offer such an alternative. If you’ve been... Read More for your resolution and the words “online community”, “forum”, or “discussion”. You could search for “learn statistics discussion”, “volunteering online community”, or “run a 5k forum”. You never know what you might find — forums and messages boards, email discussion lists, subreddits, social networks, and other kinds of communities are all out there. 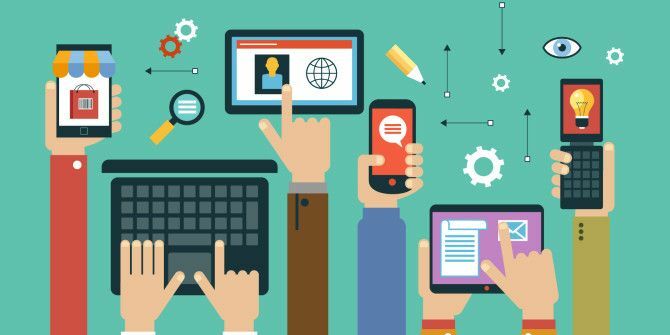 Speaking of social networks 6 Most Powerful Search Engines for Social Networks 6 Most Powerful Search Engines for Social Networks A network-agnostic social search engine can search all the most common networks, as well as lots of the niche, smaller ones. Read More , there are a lot of them for specific goals. There are also a number of apps that have a social component that will help you join a community. Weight Loss Wars lets you compete with others who are also trying to lose weight, as well as get in contact with, ask questions to, and support other people who have similar goals. Art of Saving provides articles by experts, blogs, and forums and discussions for those interested in personal finance 5 Personal Finance Sites That Will Help Get You In Shape 5 Personal Finance Sites That Will Help Get You In Shape In these tough economic times, not being financial literate can cost thousands of dollars and a lifetime of savings. But thanks to the Internet, there are several outstanding, information-filled personal finance blog sites that can... Read More . Teamstory is you are trying to build a startup this year. Sobrr to just live in the moment. Having an in-person community to support your resolution could be an even more powerful tool than having an online one when it comes to meeting your goals. But why choose one or the other? Why not have both? If you’ve found a way to meet other people 10 Effortless Ways To Meet Interesting People While Traveling 10 Effortless Ways To Meet Interesting People While Traveling When traveling, it can often be difficult to meet like-minded, interesting people to spend your days and evenings with. With the right tools and some enthusiasm, it can be an effortless exercise. Read More who share your goals — or you just happen to know some — asking them about where they hang out online is a great way to find a new community, especially because you’ll already know someone there who can show you the ropes. But what if you don’t know anyone who can recommend an online community to you? Never fear! There are other options. 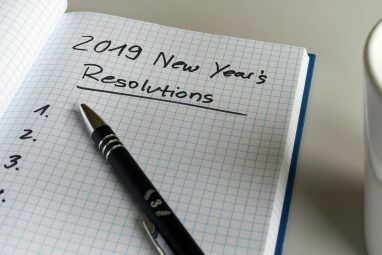 If your resolution includes buying something — a set of weights for your house, running shoes, books, a gym membership, knitting needles, an iPad, or any other object — you can ask the employees of the store that you go to where they recommend you should look. If they don’t know, try reaching out to the owner of an online store, the writer of a blog, an expert in the field, or anyone you can think of. Most people are happy to help others learn more about what they love. And, finally, you can also take to social media. Post on Facebook, Twitter, LinkedIn, or any other social networks that you’re a part of and ask for recommendations. Even if the people you’re connected with don’t share your resolutions and goals, they might know someone who does! The final way to find an online community isn’t really finding one at all — it’s creating a community yourself How To Kickstart An Online Community Around Anything How To Kickstart An Online Community Around Anything Online communities are all the rage these days. Blog popularity is still on the rise. Social networks are booming with activity. Social media is only getting started. Some sources report that approximately 1 in 4... Read More . If you have a unique resolution, or none of the options that are currently available appeal to you, maybe it’s time to be a trailblazer and build something totally new. There are almost certainly a lot of other people out there who are looking for a community like you are, and would really appreciate having a place to congregate to share their goals, find support, and discover resources. 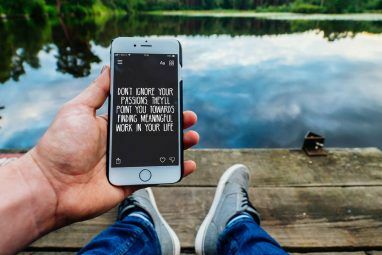 You could start a blog (either an informal personal blog 5 Tips For Starting Your Personal Blog [Opinion] 5 Tips For Starting Your Personal Blog [Opinion] As an occasional personal blogger, I have seen a lot of other folks in the blogosphere who just want to write personal publications that are not exactly meant for making money. I really like that,... Read More or one that’s totally optimized to get traffic How To Start A Blog That Gets Instant Traffic How To Start A Blog That Gets Instant Traffic Read More ) on your resolution where you keep relevant information, updates on your progress, and links to other useful sites. You could build a question-and-answer site where you interview experts on the topic and people can post their questions. Even a Facebook group How You Can Make Your Facebook Group Popular [Weekly Facebook Tips] How You Can Make Your Facebook Group Popular [Weekly Facebook Tips] So, you made a Facebook group but there's hardly anyone in it? Or maybe you made a group for a specific bunch of people, but can't seem to get anyone to be active within the... Read More could be a useful tool to start developing a community around. Use your imagination! If you’re interested in it, chances are someone else is, too. Get connected! There are online communities for almost every group of people out there, whether they’re subreddits, blogs, YouTube channels, Facebook groups, or topic-specific social networks. Even if you’re embarking upon something totally new, you can use the information that’s available to you to find a group of people that you can hang out with online to help you stick to resolutions and meet your goals next year. Now get out there and find one! What are your resolutions for this year? Do you plan on using an online community to support them? How do you recommend finding an online community? Share your thoughts below! Image Credits: Mobile apps concept (edited) via Shutterstock, Eva Blue via flickr, Hiker looking in binoculars via Shutterstock, A business woman with a potential employee via Shutterstock, Hand pressing modern social buttons via Shutterstock. Thanks! I'm glad you liked the post. I hope you find it useful in meeting your goals this year! Communities bring a modicum of accountability. If no one in my immediate circle supports my resolution, there is a community out there who can. I was a user of 43 Things myself. It went offline this year. Yes, accountability is a huge factor in setting and reaching goals. There are some communities on Reddit that exist specifically to help people with meeting their goals, but I haven't done a whole lot of investigation on them. Maybe I will! 43 Things sounds like it was a really great service—too bad they shut it down. Do you know why they did?